5 years ago I thought about all the kids in hospitals Over Christmas and what I could do to help try to put a smile on their faces, so I decided that I would ask 3 of the local stations to donate a children’s present into one of my 3 collection boxes which I had placed on the stations (children’s age bracket 0-16) and on Christmas Day Myself along with some of my colleagues would deliver the presents to the children at the local hospitals, which were Kings College and St Thomas’s hospitals. 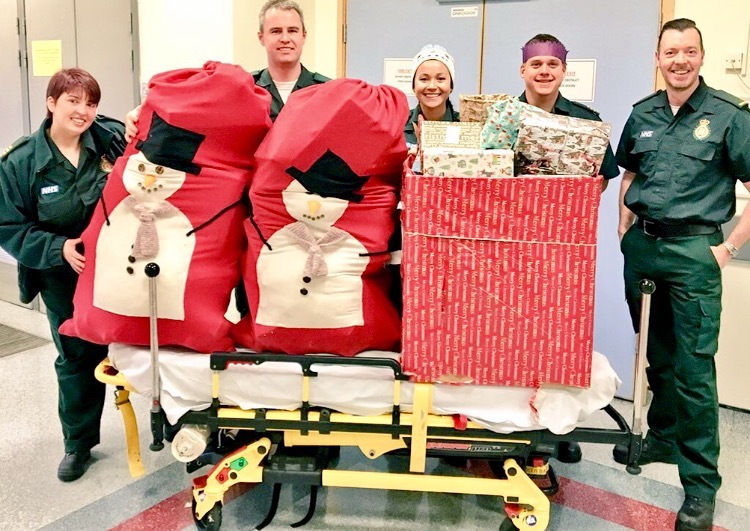 Everyone seemed to like this appeal and year after year it seems to have grown with more present being donated, and from the 3 original London ambulance stations which I started with it’s now up to 17 Ambulance stations, each station has a member of staff that helps me look after the collection box. 5 years on, this is who received presents donated by the London ambulance service staff and by my friends and family this December. This Christmas 33 places received presents. it is just amazing where this has ended up 5 years on.! !